Some traders have specific notes they like to paste into the notes for all of their trades and/or journal entries. Often this is a form with a number of fields, so they don’t forget to record a particular piece of info about the trade, but it can be anything. 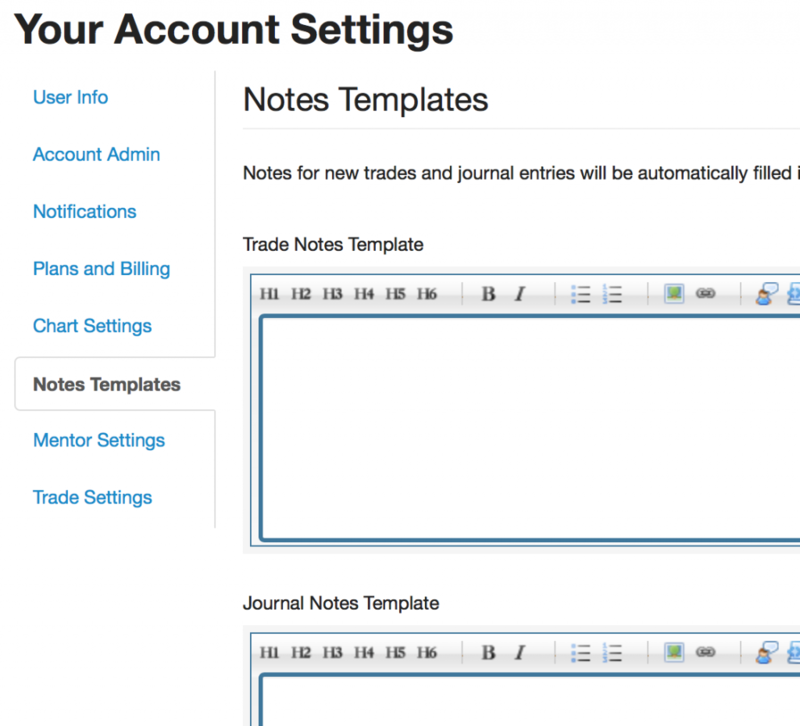 We now have templates available, so new trades (and new journal entries) will have a specific set of notes automatically populated. No more copying and pasting! To set up your templates, go to the new Notes Templates tab in your Settings. 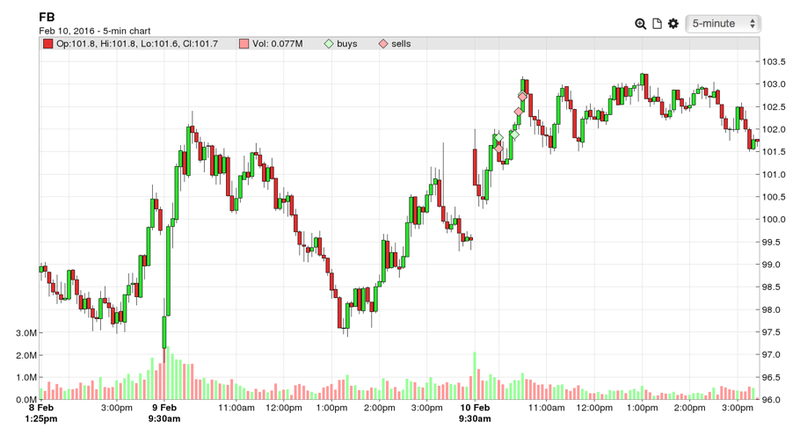 On the smaller 5-min chart, we can see that we were trading a break of the day’s high; on the larger chart, we can see that this was an important level on the prior day as well. These new larger charts are available to all users, starting today!